I’ve been saying for years that zombies are played out. 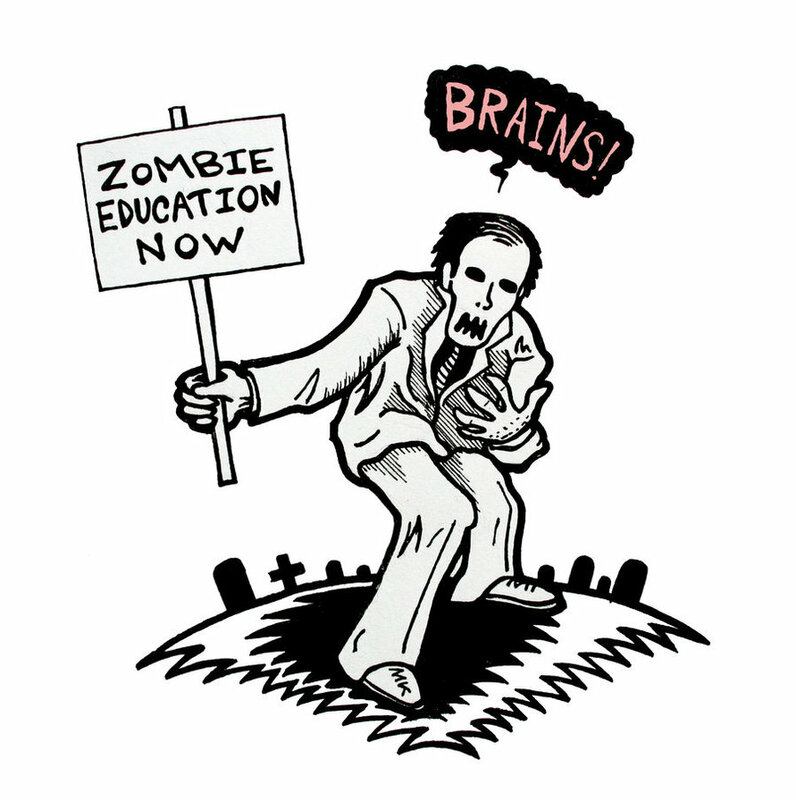 I’m afraid that removing the head and/or destroying the brain can’t stop the zombie-pop-culture-apocalypse. But every few years I’m pleasantly surprised. I thought the zombie genre was done after Shaun of the Dead. That was it. No one could do any better. Anything more would be played out. Until I discovered The Walking Dead. Then that was it. Played out. Until I discovered World War Z(the book.) Maybe I’m wrong about zombies being played out. Above is an illustration I made a few years back. It’s my own spin on the genre.